Fall Leaves, by Jennifer Dontz, includes 3 different sized stylish leaves. 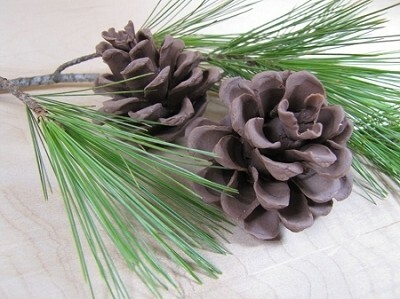 The largest leaf measures 3" x 1 3/4", the medium sized leaf measures 2 3/4" x 1 3/4", and the smallest leaf measures 1 3/4" x 1". 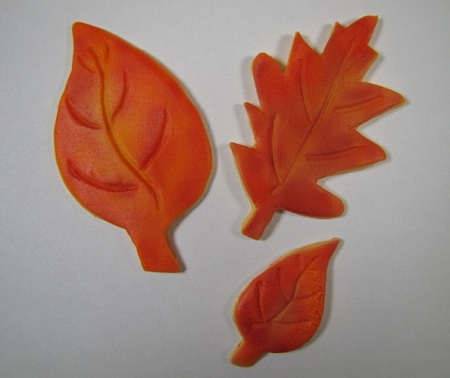 The finished leaves are made of fondant and are airbrushed.